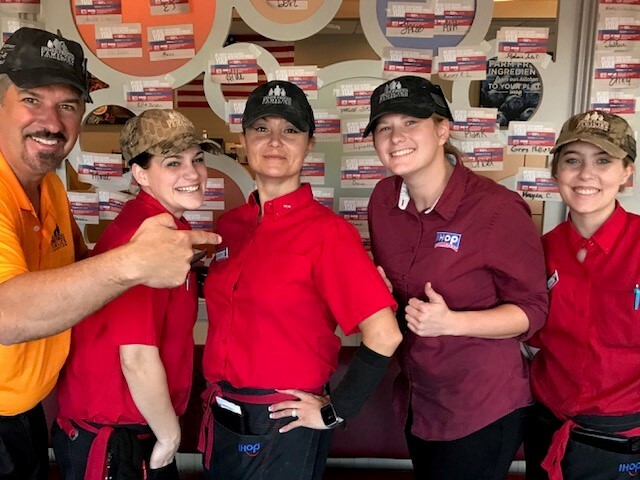 TAMPA, Fla. – The Armed Forces Families Foundation, a 501(c)(3) non-profit organization dedicated to helping military families, announced on Wednesday that a total of $323,684 was raised during their annual fundraiser, with the support of participating Taco Bell and IHOP locations. AFFF’s annual fundraising drive was held from Nov. 1-21, 2017 and included nearly 400 participating corporate and franchise Taco Bell and IHOP locations throughout the Southeastern U.S. Through this campaign, funds received at participating restaurants will stay in the area where they were raised to help fund local projects that support military members and their families. “We are extremely grateful for the generosity of those who helped make our fundraiser an overwhelming success. The support we received from the public and our partners this year will help us to continue our mission and begin implementing new projects that benefit military members and their families,” said Thaddeus Foster, a member of the board at AFFF. AFFF is unique in that it provides 100 percent of the funds raised directly to the development of permanent or semi-permanent infrastructure projects in the communities where the monies were raised . With no overhead, AFFF is entirely comprised of volunteers, providing donors with the confidence that all contributions will be used to support projects that provide for those who care for our freedom. To learn more about AFFF, lend your support or receive updates on new projects, visit www.armedforcesfamiles.org. For 60 years, IHOP has been a leader, innovator and expert in all things breakfast, any time of day. The chain offers 65 different signature, fresh, made-to-order breakfast options, a wide selection of popular lunch and dinner items as well as meals under 600 calories. IHOP restaurants offer guests an affordable, everyday dining experience with warm and friendly service. Today, there are more than 1,750 IHOP restaurants around the world, including restaurants in all 50 states and the District of Columbia, Puerto Rico and Guam as well as Canada, Mexico, Guatemala, Panama, Lebanon, the Kingdom of Saudi Arabia, Kuwait, the United Arab Emirates, Bahrain, Qatar, Thailand, India and the Philippines. IHOP restaurants are franchised by affiliates of Glendale, Calif.-based Dine Brands Global, Inc. (NYSE: DIN).